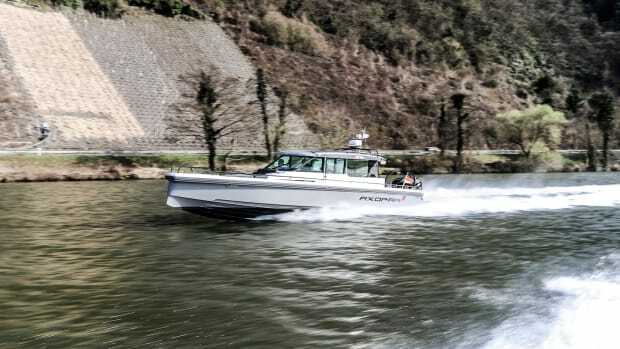 Posh new features, when combined with the performance and seakeeping that have allowed Boston Whaler to thrive for 60 years, make the 380 Outrage a bright new boat of distinction, even on a rainy day. Drizzle dampened the docks, the air was cool and skies were gray: the kind of day that separates the real enthusiasts from the wannabes. 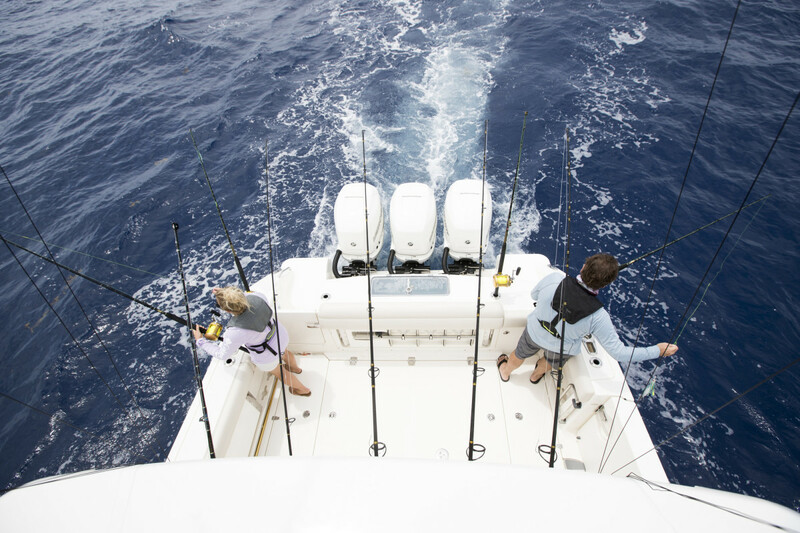 If you were on the docks at the boat show that morning, you were serious about boating—and many of the people there were flocking to the Boston Whaler 380 Outrage. 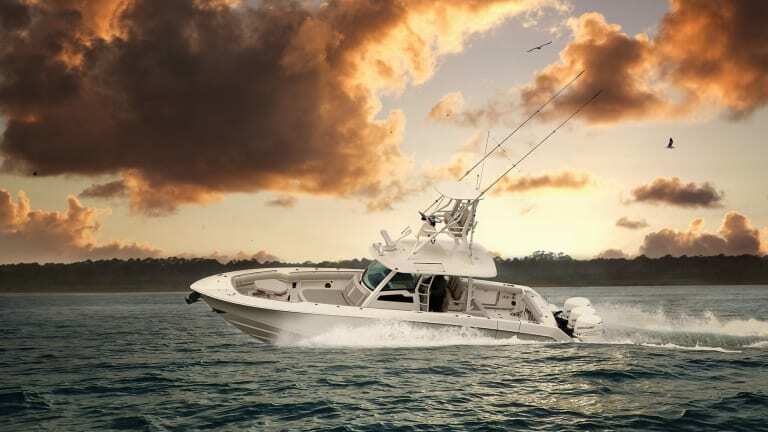 The 380 Outrage has strong fishing DNA coupled with Whaler’s admired hull design and construction. The lower helm is heated and air-conditioned. Intended to handle elements much more threatening than a little drizzle, the Outrage’s aft sunshade was deployed over the cockpit, which has aft-facing seating that converts to a table for making lunches—or prepping baits. 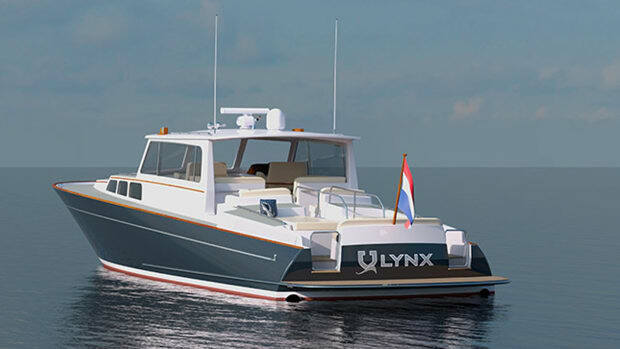 There’s also a 60-gallon live well, fold-down gunwale seating and a slide-out drawer that fits a bucket (which we all know is the most important piece of equipment on any superyacht’s fishing tender). The space locks a bucket in place, out of the way, no matter whether it’s holding thawing bait for the guests or soapy water for the crew. 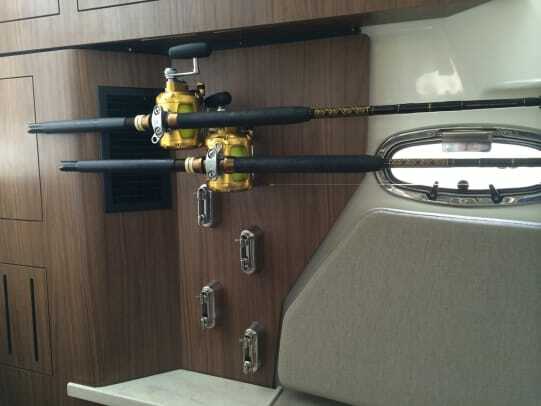 The 380’s cockpit is optimized for fishing. 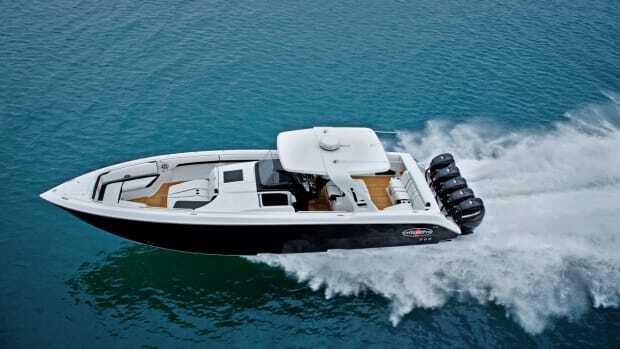 The 380 Outrage’s wow feature is a heating and air conditioning system at the helm. 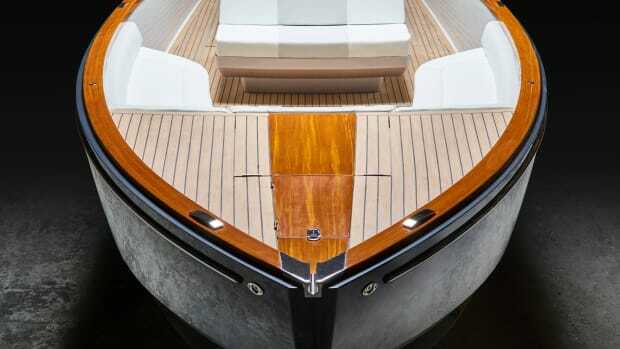 Vents are just abaft the center console’s helm seats, a position that should keep everyone warm while returning to the yacht or heading ashore as cocktail hour approaches. 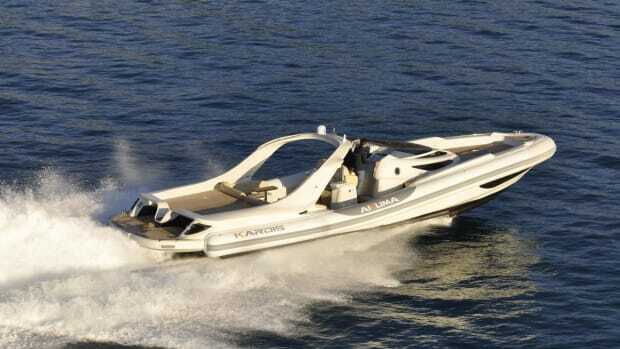 Speaking of the helm, forward visibility is good, even when the boat comes onto plane. 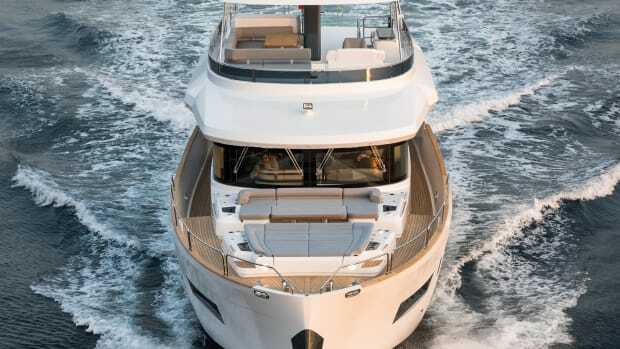 A fold-down platform raises the skipper 3 inches off the deck, a feature that helps crew and owners alike see what’s on the horizon. 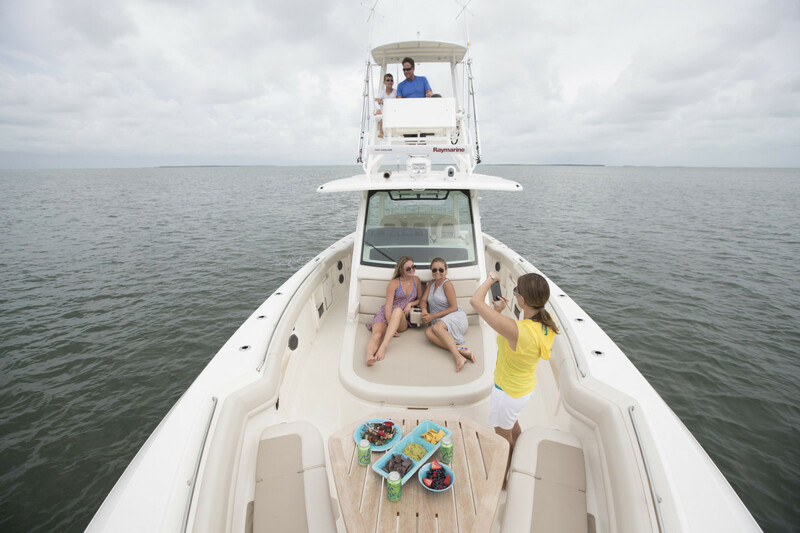 The Boston Whaler 380 Outrage has smart features for fishing and cruising in comfort. For the kids on board (and any parents who can’t leave the boardroom behind), USB ports are everywhere, from the helm to the armrest in the forward sunpad. 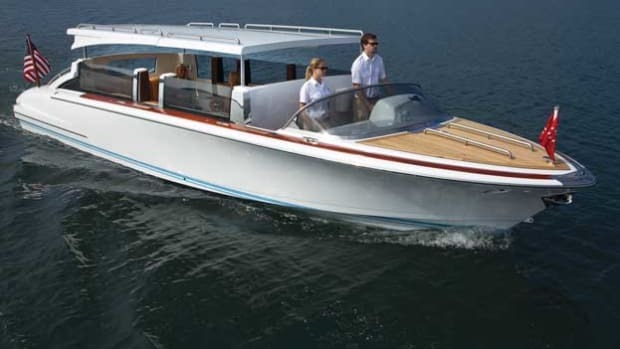 More creature comforts are belowdecks, where Boston Whaler installed a double berth, head and galley—good for an overnight or two. Rod stowage is along the bulkhead, out of the way of the relaxation space on the forward sunpad. An accent light that turns the stowed reels into works of art. 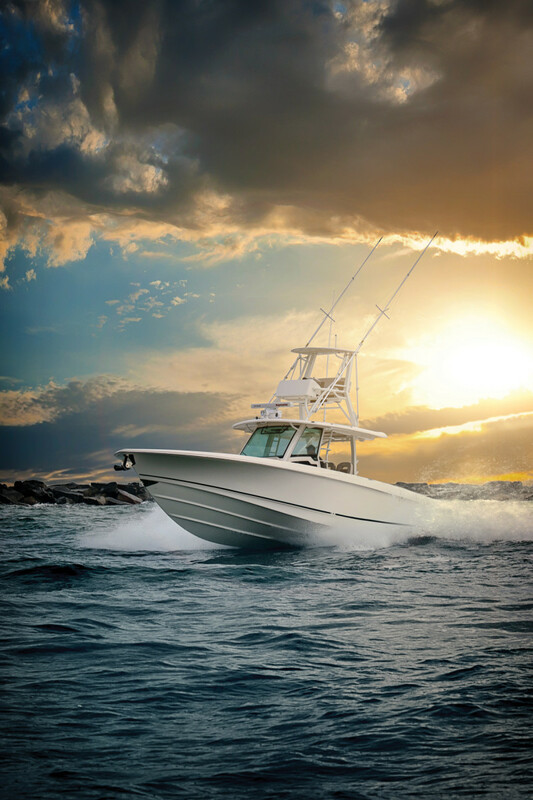 Such features, when combined with the performance and seakeeping that have allowed Boston Whaler to thrive for 60 years, make the 380 Outrage a bright new boat of distinction, even on a rainy day. 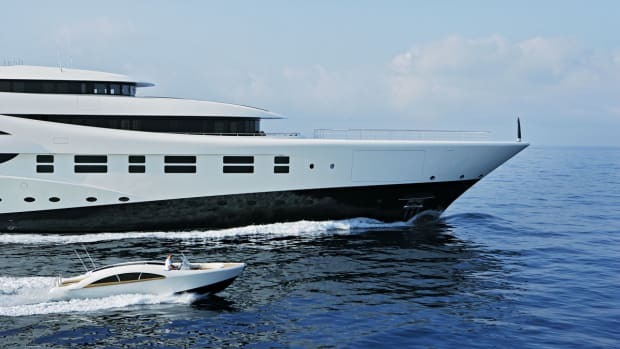 The original version of this story appeared in our sister publication, Power & Motoryacht magazine. 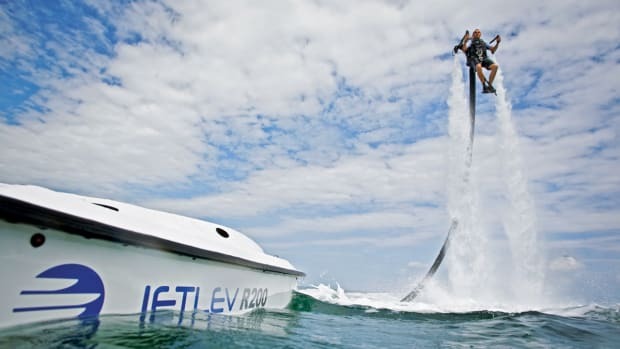 JetLev: Ever Dreamt About Flying?